Shopping for dog food and taking care of your favorite pets can be quite challenging and stressful. While the companionship of the dogs and the friendship it provides can keep you happy, the idea of choosing food for their diet can be quite frustrating. With so many dog food brands available, it’s often a problem choosing the brand, or what kinds of pet food to buy. And when you want to go all natural and organic, the same problems crop up. Which fresh produce or meat can work for your dogs? Sure, it’s expected that your dogs will love slices of pork chops and other meat. But how about fish? Can dogs eat tuna, and still get the nutrients and the nourishment your pet deserves? These are real pet owner questions,and if you truly care about the needs and health of your dogs, then this question should be explored and taken seriously. Can dogs eat other types of meat, on top of the usual food fare we give them? You will be surprised at the resources and the recommendations made by experts online. 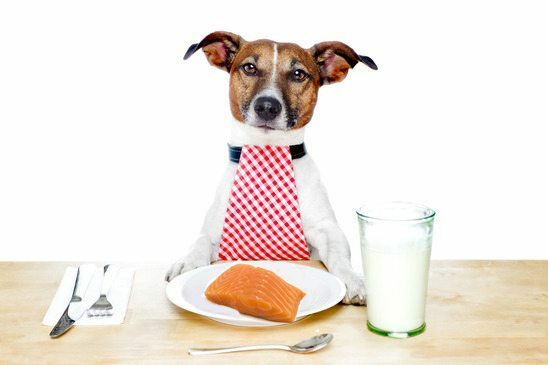 While we usually think of dogs as strictly carnivorous (usually pork and beef), keep in mind that your dogs will also welcome fishes cooked in different ways as part of their diet. Just like peanut and pears, tuna can also work as part of the diet of pet dogs. According to the health experts at MSN.com, they all agree that tuna can serve as a great snack for household pets, dogs and cats included. For many cat owners, the inclusion of tuna is one of the best ways to keep their cats satisfied and can also help in the nourishment of their pets. It is said that tuna is rich in omega-3 fatty acids, protein and vitamins. Now, the same health benefits can be enjoyed by your cats. What you can do is to add a few slices of tuna to the dogs’ diet. Keep in mind that fishes, tuna included, are not just the treat for cats, but can also work for your dogs. Throw a few slices of tuna on a regular basis, and your dogs will enjoy the same kinds of nutrients. Can I Give Raw Tuna and Other Meat to My Dogs? Be careful with the kinds of foods that you will give to your dogs. While your attention may be clean, but the irresponsible handling of food like fishes can do more harm than good to your pets. Just like ordinary raw meat, the raw tuna that you will give to your pets may cause food poisoning, and your dogs may end up in the hands of the veterinarian once again. Fresh or uncooked tuna is not recommended for pets including dogs due to the presence of bacteria in the meat. Tuna, just like sturgeon, salmon and trout may contain parasites, which can cause stress and health problems on your pets. Sure, food poisoning in pets like dogs is not serious and treatable, but the stress and inconveniences that you will feel have no monetary value. If you absent-mindedly gave fresh tuna to your dogs, then its’ best to monitor your dog’s situation and act fast. According to WebMd, some of the first signs that you need to watch out for are big lymph nodes, fever and vomiting. If you notice these signs and symptoms, contact your veterinarian immediately. Protect your pets- make sure you handle and cook the tuna the right way to remove the parasites. Pay attention to the parts of the fish that you will give to your pets. For example, make sure you don’t include fish bones in their diet. Fish bones are brittle, small and can be dangerous for your dogs. If you continuously feed your pets with fish bones, there’s a big chance that these will end up in their throat, mouth and intestines. The worst case scenario is when these fish bones will end up in their organ walls. If these things will happen, then it can affect the health and comfort of your pet dogs. Fish bones that are stuck in the throat or intestines can cause inconveniences in your dogs and worse, you will schedule a visit to the veterinarian’s office which can be costly on your part! Although you will find some stories online about pet owners giving their dogs fish bones, it is better that you stay safe. Make sure you carefully choose the fish parts that you will feed your dogs, and follow the suggestions of your veterinarian. What are the Benefits of Eating Tuna and Other Fishes? Just like in humans, fishes can bring a host of health benefits to pets, including dogs. All types of fishes are great sources of niacin (Vitamin B), calcium, protein and omega-3 fats. in fact, you can also go for canned fishes like canned tuna and salmon since these are healthy snack treats, packed with omega-3 fatty acids. If you are going to choose canned tuna or salmon, make sure you look for tuna chunks that are packed in water, with less salt. Also, make it a point to gradually introduce tuna to your pet dogs, and never force them to feed on tuna all at once. What you can do instead is to throw in a quarter tin of canned tuna to the day’s meal. According to a pet dog magazine, you can also go the creative route when feeding your dogs with tuna the first time. Instead of giving your dogs pure tuna chunks, you can also try some fun and creative recipes, including a Tuna Fudge. This recipe calls for drained canned tuna (or salmon), wheat flour,garlic powder, lightly beaten eggs and Parmesan cheese. Simply combine all ingredients and bake in 350° for 20 minutes. Adding tuna to their meals can add variety to their diet. Aside from giving them tuna, you can also introduce sardines and anchovies to their regular diet. Another trick that you can do is to preserve the water that comes from the tinned tuna. After the tuna chunks have been consumed, simply add the water to some treats, kibbles and fresh veggies. In fact, when you search for resources and tricks online, especially on YouTube, you will find different videos that share the experiences of pet owners with canned tuna. this YouTube video shows a German Shepherd, feeding on a bowl of rice and tuna. To make the dish more appealing and appetizing, the pet owner added some soy sauce for taste and color. The great thing about feeding your dogs with tuna is that you are giving them access to better nutrients. Tuna and other types of fishes have the ability to deliver tons of health benefits and vitamins, without increasing the risk of weight gain. Also, there is no need to worry about protein overload that may put stress on your pets’ internal organs. Although no solid researches and studies have been forwarded about the negative effects of tuna to lactating or pregnant dogs, it is still best to stay safe, and not offer canned or cooked tuna to your dogs. It is also best that you control the fish intake of your pet dogs. Anything eaten in excess can bring more problems than benefits, so it’s best to pay attention to serving sizes. Also, too much fish or tuna intake can lead to your pet’s obesity. Again, it is best to consult with the veterinarian to know the right portions of tuna or other types of fishes that can be eaten by the dogs. With some creativity and love for your dogs, you can give them the nourishment they need. If you want your pet dogs to get the nourishment and satisfying snacks that they deserve, you can now introduce fish into the diet. Go ahead, get that tinned tuna, and gradually introduce the fish to their diet. If you have more questions about dog’s diet, please send us a question. Or if you have a recipe to share, please don’t hesitate to share them for with community!